Trace the footsteps of the Founding Fathers through the streets of historic Old City on this 1.5-hour walking tour. 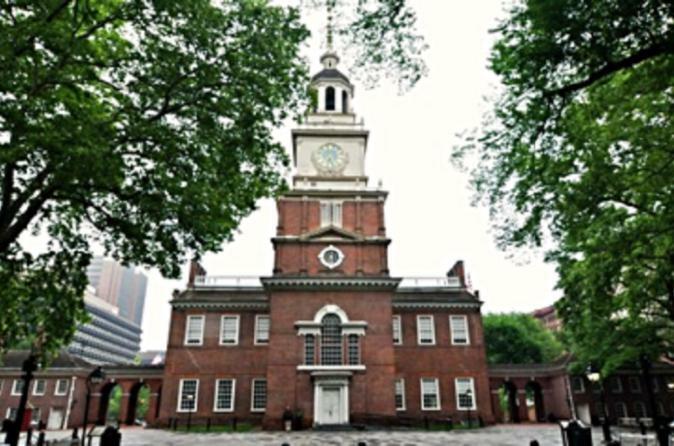 See the famous landmarks of Philadelphia, including Independence Hall, Carpenter's Hall, the Ben Franklin Post Office and Christ Church. Hear the incredible history of Philadelphia brought to life! Rendezvous with your local guide at 302 Arch Street. Venture into the streets of Old City to begin your 1.5-hour walking tour. Learn the fascinating history of the nation's birthplace as you walk. Listen to your professional guide's stories about Independence Hall and the Liberty Bell. Visit the Keys to Community Sculpture, a bust of Benjamin Franklin made out of donated keys. Explore the Christ Church burial grounds, where a founding father is buried. See where money is printed and coins are pressed at the U.S. Mint. Then, meander down Elfreth's Alley, which is considered the oldest residential street in America. Discover Old City and the history of Philadelphia on this intriguing walking tour.